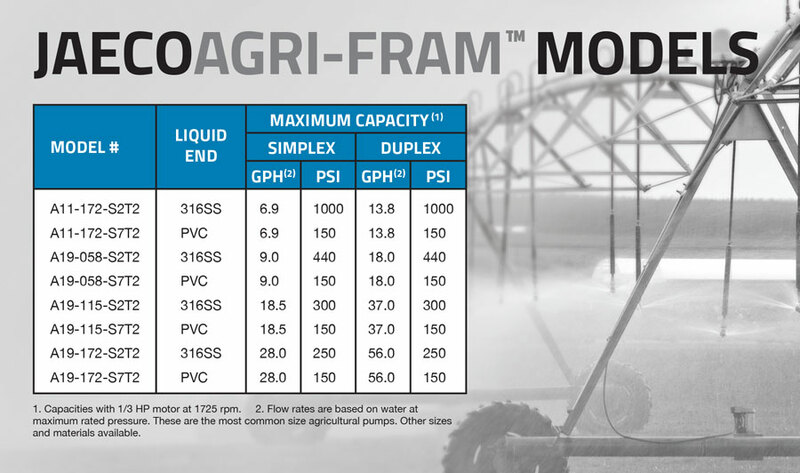 The JAECO AGRI-FRAM is a hydraulically actuated diaphragm metering pump specially designed for agricultural applications. It offers accurate, completely leak-proof metering of liquids. 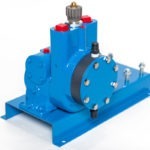 Separate chambers for hydraulic fluid and gear lubricant make possible the use of the best medium for hydraulic diaphragm pulsing and the best medium for gear lubrication. 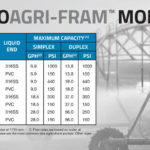 The results are better pump performance and longer pump life. 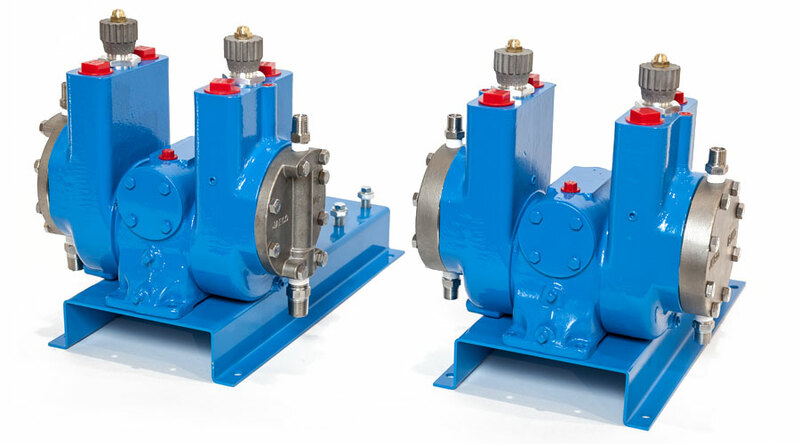 This diaphragm pump is available in both simplex and duplex models and is field-convertible from simplex to duplex. 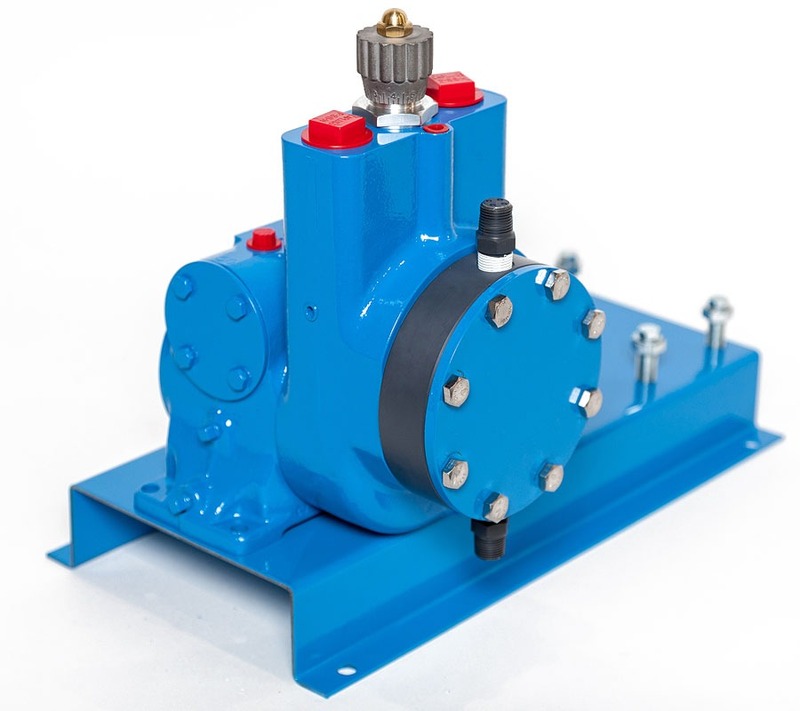 Separate chambers for hydraulic fluid and gear lubricant make possible the use of the best medium for hydraulic diaphragm pulsing and the best medium for gear lubrication. The results are better pump performance and longer pump life. 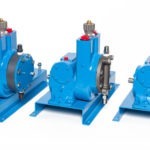 Pumps can run dry without pump failure. 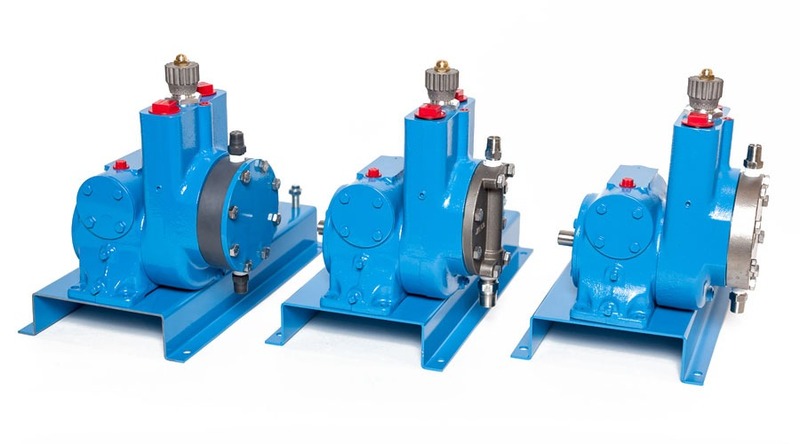 Patented, heavy-duty gear reducer system for superior performance. 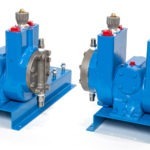 Hydraulically-actuated diaphragm minimizes diaphragm fatigue. 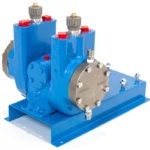 Built-in hydraulic relief valve protects the pump. Rate of injection is manually adjustable while pump is running or idle. Rate of injection is adjustable for a turn-down ratio of 10:1. Accuracy of ± .5% at steady state. Easy-to-read stroke length adjustment dial. No plunger seals to leak or replace. 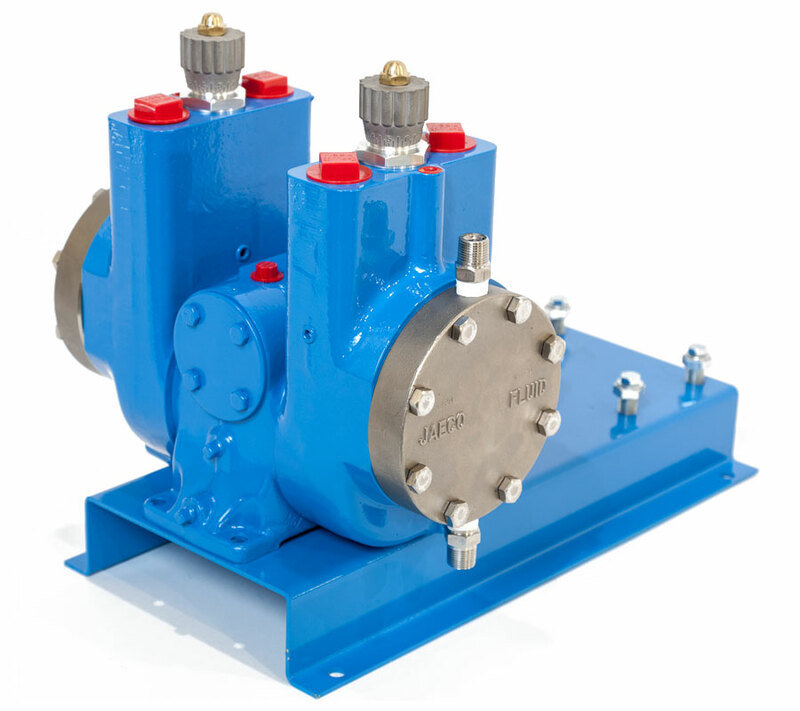 Single ball check valve, standard on both suction and discharge side of the pump, provides accurate metering and fast response. Complete with single-phase or three-phase motor. All units come epoxy painted, completely assembled on a base plate and have been fully tested. For those special applications of applying Sulfuric Acid or Infuric, the recommended materials of construction are Alloy 20 or PVC.